A lot is going on here! What do I look at? 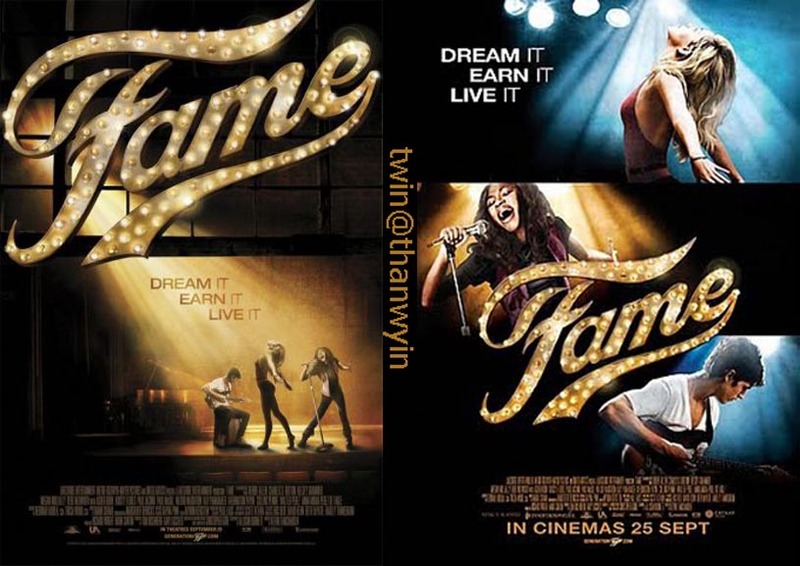 I just saw Fame, the 2009 version. I never saw Fame, the 1980 version. I should since it won two Oscars. And I'm not one of those people who watches only Oscar winners, but the 2009 version got bad reviews. And I know why. In the 2009 version, we have a cross section of characters that are admitted to Performance Arts High School. Clever name. In this cross section, we have freshmen who deal with issues with shyness, self worth, preconceived ideas from parental figures, grades that lead to being expelled, and people in the industry who've scammed money. This seems like a lot but a lot of stories have this many sub plots that help drive the main story line. Problem here is I'm not sure what the main story line is, and these play like sub plots with no main plot. You could also say they are all main plots but that would be too many. There's a character named Malik who runs into the problem of parental limitation. His mom says he ain't all that. Not in those exact words, but it's a good problem. We've all at some level--friends or family--have been told we ain't all dat. Is any of it true? Of course not. But the movie doesn't show Malik overcoming that issue, finding that he's special, then realizing he is truly talented. What if he wasn't? The movie doesn't show that either. So is the message of the movie saying that none of us are special (not in the yellow bus way)? No because the movie is called Fame. So what's the message? Not quite sure. Throughout the whole movie we get performances that are well choreographed. There must have been a dozen. To take up 107 minutes with that many performances ruins the pacing and doesn't spend enough moments on what is truly important, the story. It's like having a ton of special effects with no substance. We go from admission to graduation, and, in doing so, the characters who are faced with character arc problems either don't solve them, or we don't see them solved, or are not solved. One ballet dancer is told he won't make it by his teacher, told that he might be a decent teacher. He believes her, submitting to becoming a ballet teacher. So does the teacher see herself as a failure? Then why is she teaching? As the term character arc states, there's an arc. We basically go from beginning, miss the keystone moment and BAM! We've arrive at the end. And we're not sure why.